Today was a day of two halves, but you’ll have to read on if you want to find out more! A very picturesque sunrise greeted me as I unzipped the tent. 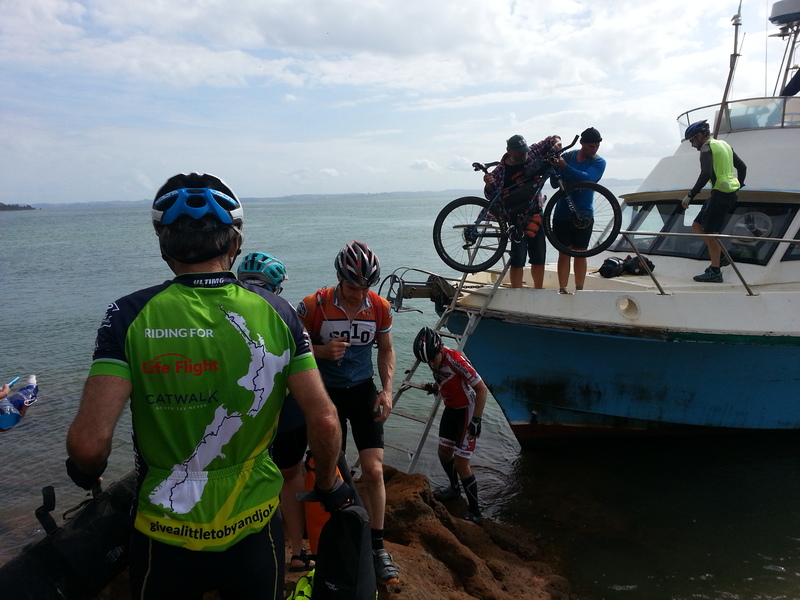 The boat charter arrived at 1025am and those of us that had made it started loading the bikes up the rickety ladder! The 2 young Americans who I spotted yesterday must have not got their gear cable fixed as they were nowhere to be seen. 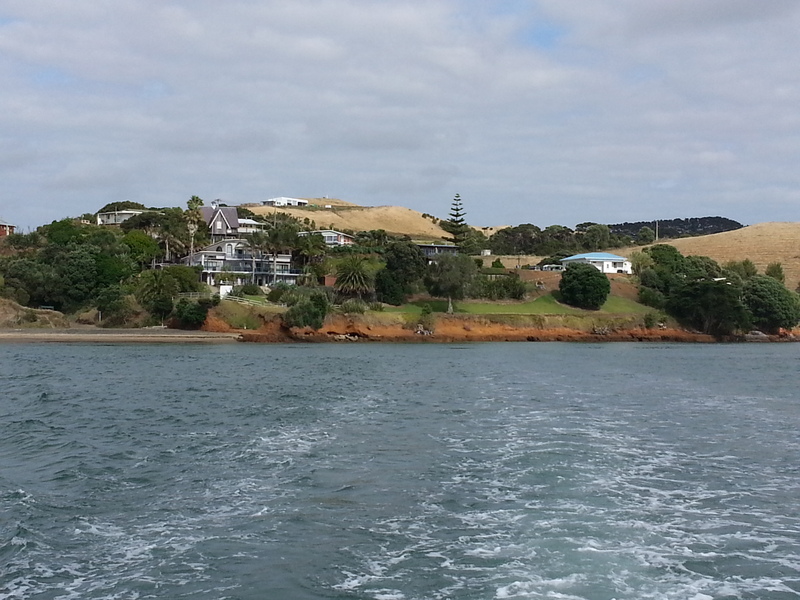 The captain said he had to leave as the tide times across the harbour were quite critical. 150m offshore and someone shouts to the captain that were 2 people waving their arms on the beach. After a few choice words he span the boat around and went back to pick them up. They were lucky as they would have either had to wait 3 days in a town with nothing or do a huge detour. The ferry crossing took 3 hours and we disembarked at 1330. 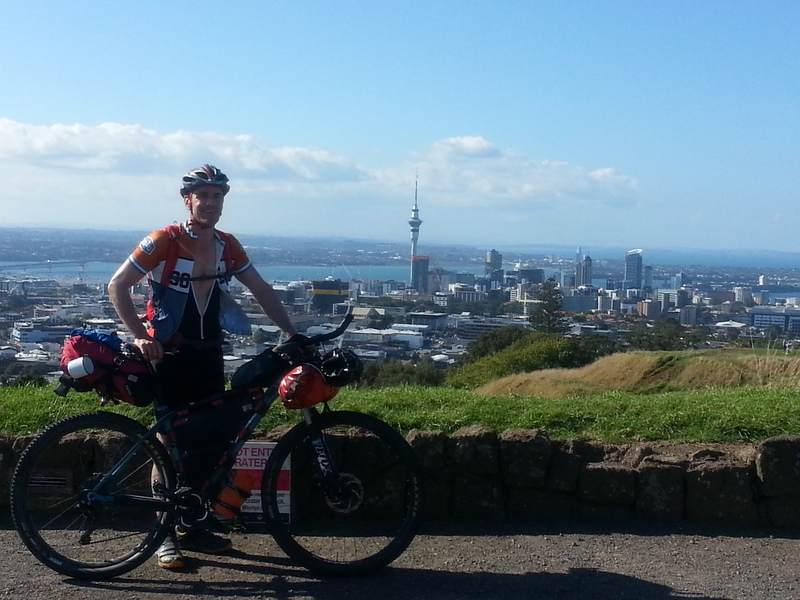 I then pushed on to Auckland as I had a broken spoke that needed fixing. Although the ride was only 35 miles, but as always it took longer than expected. 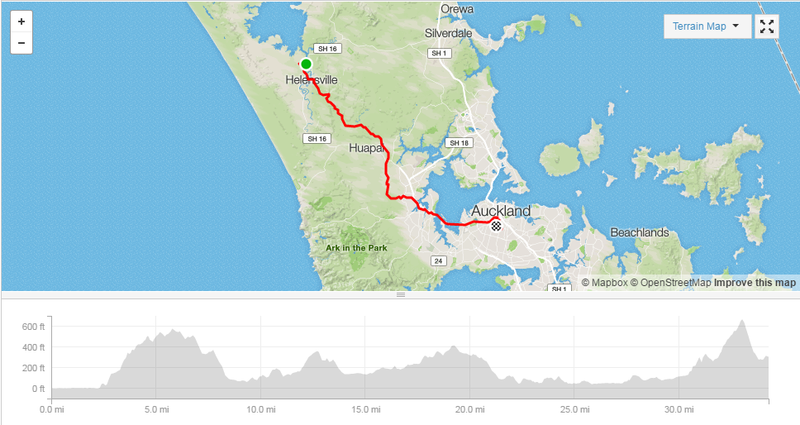 I think it had something to do with the fact that it was 3100 ft of elevation gain to Auckland. 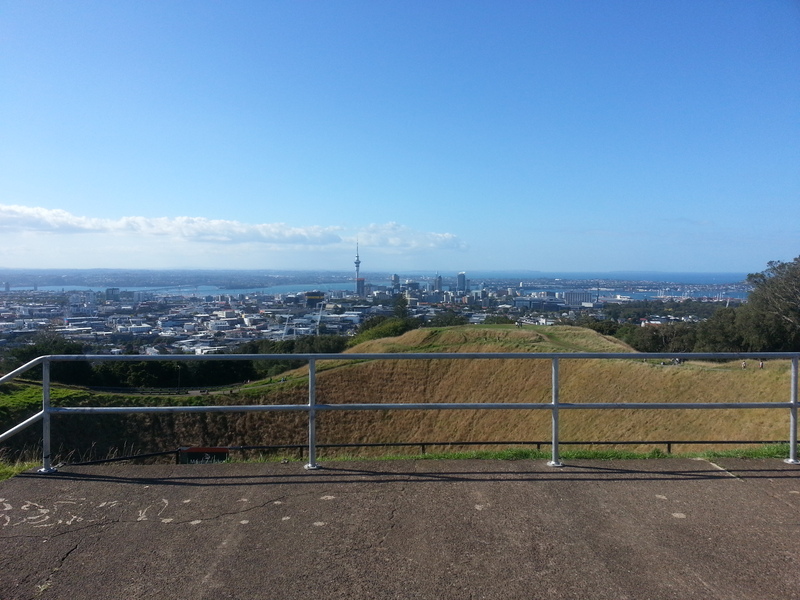 The views from the top of Mt Eden over Auckland were pretty cool, but I couldn’t spend too long admiring views as I had to get to the bike shop before 1800 hrs. Tom the mechanic who left Leeds 12 years ago was most helpful and when he spotted the British flag I had sewn on the side of my frame bag he stayed 30 minutes after closing to sort my wheel out. Most kind! Having got my wheel sorted out Wayne and I headed over to the backpackers across the road to get a room. Unfortunately, for us it was full and searching on Google soon made it clear that trying to get any accommodation in Auckland would be impossible, especially, considering everything was > $200. 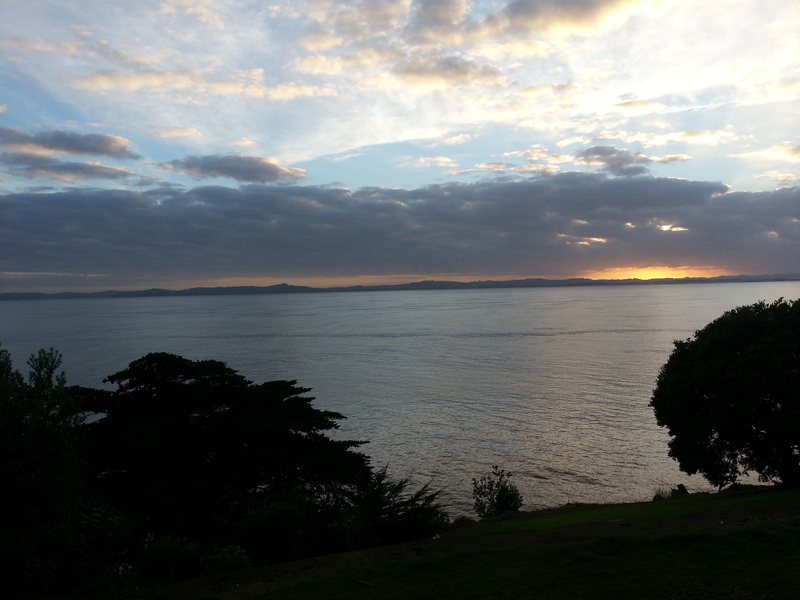 The only option was to then push on in the hope we would either find a cheap motel or a suitable camping spot. 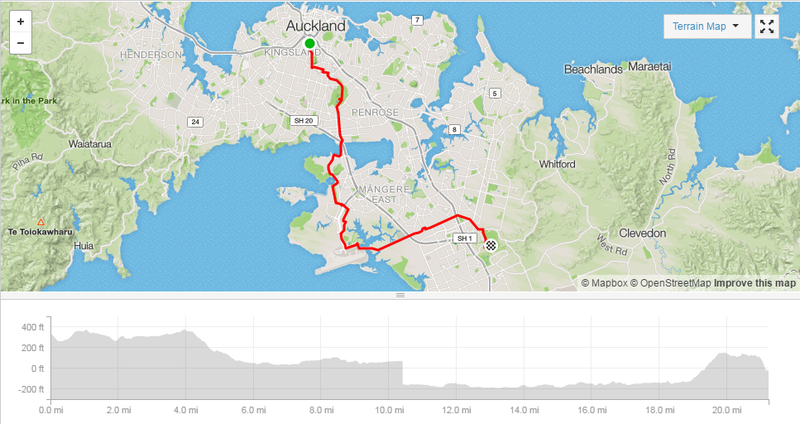 Cut a long story short, it was another 21 miles of riding before we found a suitable stealth camping spot in a suburb. Not ideal as it was gone 2230 hrs by the time tents were pitched.